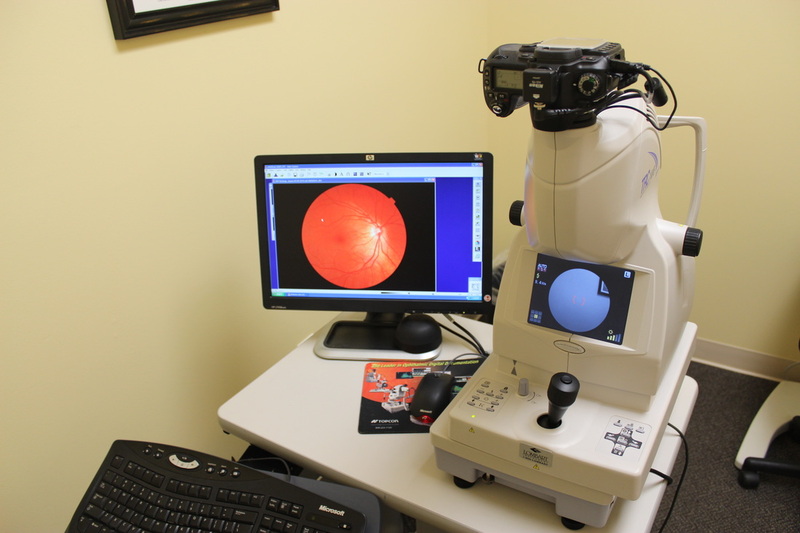 We offer full scope adult and pediatric comprehensive eye examinations utilizing the latest technology to assess the vision and health of your eyes. We store your protected health information in electronic medical records for easy access, reduction in errors, and convenient electronic prescribing of pharmaceuticals straight to your pharmacy. Those records are backed up daily to two different locations ensuring your information is kept safe. We fit sphere, astigmatism, multifocal and hard-to-fit patients in familiar brands such as Acuvue One Day Moist, Acuvue One Day for Astigmatism, Acuvue One Day Multifocal, Acuvue Vita, Acuvue Oasys, Acuvue Oasys for Astigmatism, Acuvue Oasys for Presbyopia, Alcon Dailies Aqua Comfort Plus, Alcon Dailies Aqua Comfort Plus for Astigmatism, Alcon Dailies Aqua Comfort Plus Multifocal, Alcon Dailies Total One, Alcon Dailies Total One Multifocal, Air Optix Hydraglyde, Air Optix for Astigmatism, Air Optix Multifocal, and Air Optix Night and Day to name a few. We also fit some more exotic lenses like Dutte HD by Synergeyes for those irregular corneas (like post radial keratotomy and kerataconus), Biofinity XR, Proclear XR or Frequency 55 XR for high astigmatism, and Gas Permeable lenses. We offer many designer frames and sunglasses. 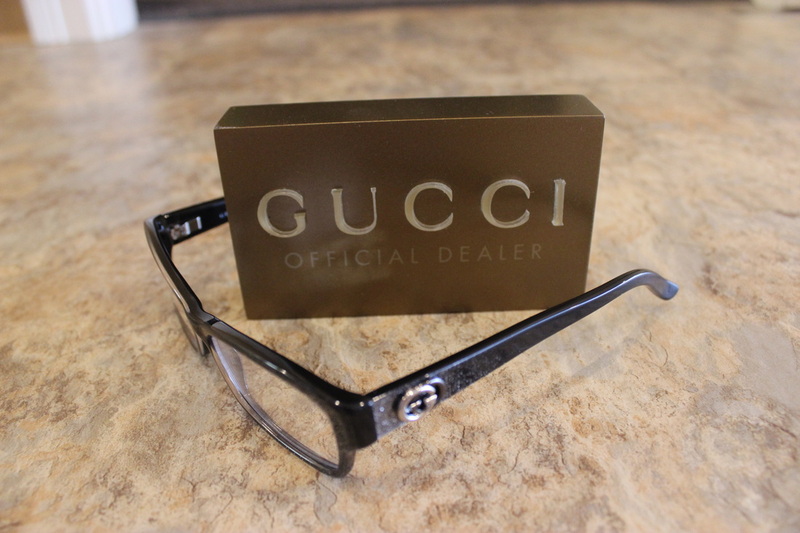 Some of our brands include: Tom Ford, State Optical, Jimmy Choo, Kate Spade, Lacoste, Eddie Bauer, Gant, Fossil, Guess, Harley Davidson, Vera Wang, Candies, and Oakley to name a few. We also offer the newest lens technology by Hoya Laboratories, an innovator in the ophthalmic lens manufacturing industry. Single Vision, Lined Bifocals or Trifocals, or No Line Progressives are available in a variety of materials. Trivex (two year warranty) or High Index materials are designed to make the lenses lighter and thinner. Ask about our computer generated High Definition iQ lenses which are aspheric and make your lenses even thinner and lighter. Transitions lenses turn to sunglasses when you are outside. Polarized lenses block reflected light. We have many types of no line progressives. Ask about are Lifestyle lenses that have a wider intermediate and near channel with less distortion than traditional progressives. Our newest anti-glare coating is SuperHivision EX3. The coating is built into the lens so it never flakes off. It also has the best scratch resistance on the market, limits smudges and is warrantied for two years. Ask about it at your next visit. We are a full scope optometric clinic. We can treat and manage ocular diseases such as dry eye syndrome, cataracts, macular degeneration, glaucoma, retinal detachment, diabetic retinopathy, retinitis pigmentosa, kerataconus and retinopathy of prematurity. We also treat acute problems such as corneal ulcers, ocular inflammation, conjunctivitis (pink eye), corneal abrasions, corneal/conjunctival foreign bodies (metal/other in the eye) to name a few. We can perform minor surgical procedures like foreign body removal, bandage contact lenses, cyst drainage, punctal plugs, and epilation of eyelashes. For major surgeries we refer to a team of specialists is Little Rock for advanced cataracts, advanced glaucoma, retinal detachments, advanced macular degeneration, anterior segment disease, neurological issues, dermatology, and oculoplastics. The scanning laser allows the doctors to see specific layers of the cornea, retina, or optic nerve in detail down to a millionth of a meter. OCT increases the doctors ability to make an earlier diagnosis of many conditions of they eye and follow the progression of many diseases helping them better manage and treat diseases such as corneal dystrophy, macular degeneration, macular edema, macular holes, diabetic retinopathy, retinal detachements, and glaucoma. We co-manage the pre/posterative care of patients seeking cataract or refractive surgery. In most cases we will schedule your consult for surgery at our office with our surgeons. The surgeon will perform the surgery at a surgical center, and you will return to our clinic for post-operative and continued care. We seek only the best care for our patients; therefore, we co-manage with only the best surgical specialists in Little Rock and Cabot. We hope by doing so we provide you with the best surgical outcome possible. insight into the process from start to finish. Dr. Charity Hertzog has served as Clinical Director of TLC Laser Eye Centers in Little Rock for six years. She has given numerous lectures both to her peers and the general public on a broad range of subjects related to all types of refractive surgery. She is excited to bring her refractive surgery expertise to Hertzog Family Eye Care. 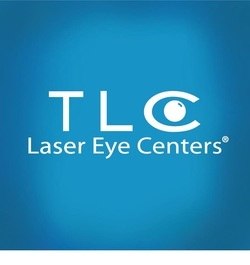 For more information about Lasik you may contact us at 501.941.2222 or click the TLC logo to go directly to their website. On their website you can learn everything you need to know about Lasik, Book a Free Consult, Request a Free Lasik Information Kit, and Learn About 0% Interest Free Financing. We have partnered with Macula Risk and the Advanced Diagnostic Laboratories at the National Jewish Health in Denver, CO to provide genetic risk testing for those with early signs or a family history of Macular Degeneration. A simple cheek swab allows us to run a DNA profile to determine your risk. Your risk is ranked genetically from 0-100% and you are assigned a risk category from 1-5 based on your genetic profile and environmental factors such as smoking and body mass index. Why get tested? 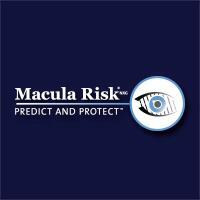 The consequences of untreated neovascular AMD is blindness. Studies show that patients presenting to retinal specialists with vision loss associated with neovascular disease have a poor outcome, with only 50% achieving a meaningful improvement in vision. In contrast, those that present prior to vision loss do much better, with 80% having sustained functional vision. Unfortunately, over 80% of patients are seen too late and the functional improvement after treatment of the affected eye is minimal. The testing is designed to determine those with highest risk and increasing their frequency of visits; therefore, diagnosing potential problems earlier and achieving a better visual outcome. Cooing, sitting up, and crawling are signs that your baby is growing. Your baby’s vision has stages of development too, but the signs marking progress are not so obvious. For many months to come, those little eyes will be the windows she uses to learn almost everything about her new world. It’s up to you to help her develop properly, and ensure that she sees her new world clearly and accurately. Many eye conditions have no symptoms that can be identified by a parent or in a well baby check-up. Early detection is the best way to ensure your child has healthy eyes and appropriate development of vision- now and in the future. We can help. InfantSEE®, developed by the American Optometric Association and The Vision Care Institute of Johnson & Johnson Vision Care Inc., is a public health program designed to ensure that eye and vision care becomes an integral part of infant wellness care to improve a child’s quality of life. We feel so strongly about the importance of healthy vision that participating member optometrists will provide a no-cost comprehensive infant eye and vision assessment within the first year of life. Do you have chronic dry eye? Ask you doctor some important questions. or dry eye syndrome. It is also known by the medical name keratoconjunctivitis sicca. But the important thing to remember is that Chronic Dry Eye is a disease and that there is medical treatment available. Chronic Dry Eye is a chronic disease that can be caused by advanced age, contact lens wear, certain medications, eye diseases, other medical conditions, or environmental factors. One type of Chronic Dry Eye is caused by decreased tear production due to inflammation. Without enough tears, the film protecting the eye can break down, creating dry spots on the surface of the eye. That’s why it is so important to see your eye doctor. Fortunately, there are prescription options available (see video below). In rarer cases we need to treat the inflammatory dry eye with medication and block the tear drainage to retain more moisture on the eye. We are able to insert plugs into the punctum of your lower eyelid. The punctum is a small opening where your tears drain from your eye. First, we will insert temporary collagen plugs that will dissolve in about two weeks. Next, if you have tolerated the collagen plugs, we will insert non-dissolving silicone plugs that can be removed if necessary. Prokera Amniotic Membrane Bandage Contact Lens. PROKERA® biologic corneal bandage devices are used by eye doctors around the world to heal and treat eye diseases such as keratitis, common dry eye, recurrent corneal erosions, filamentary keratitis, persistent epithelial defects, neurotrophic corneas, herpetic ulcers, and many other ocular surface diseases. The PROKERA® family of products - PROKERA® SLIM, PROKERA®, and PROKERA® PLUS - are the only therapeutic devices cleared by the U.S. Food and Drug Administration (FDA) that reduce inflammation and simultaneously promote regenerative healing of the ocular surface. The amniotic membrane tissue in PROKERA®products, which is preserved using the Company’s proprietary CryoTek® processing method to ensure the tissue retains its full biologic activity, has natural therapeutic actions that help damaged eye surfaces heal. PROKERA® products provide faster and more effective healing of the cornea with less pain, scarring and inflammation, leading to clear corneas and improved clinical outcomes. PROKERA® biologic corneal bandage devices are safe and effective with no risk of intraocular pressure (IOP) spikes or delayed healing. PROKERA® products can be inserted in the doctor’s office, or may be inserted in a surgical or hospital setting in conjunction with other procedures. PROKERA® products can also be used in combination with topical agents. If you are busy like we are and don't have time for phone calls during the day or you want to communicate with us after hours, we offer a service where you can receive notifications, make appointments, confirm your appointments, write reviews, or receive periodic promotions/newsletters by text message on your smartphone or email from your phone, desktop, laptop, or tablet. You can access our SolutionReach page directly, under the appointments link or reviews link on this website, or on our Facebook page. 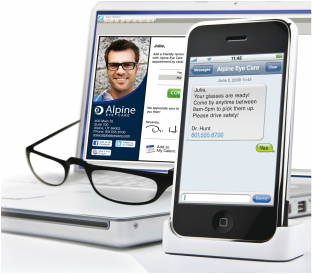 SolutionReach is just another way Hertzog Family Eye Care is trying to make your visit simpler, more convenient, and on the cutting edge of technology. 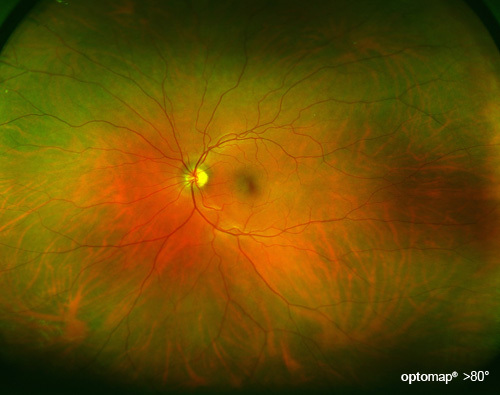 Optomap ultra-wide field digital retinal image is a unique technology that captures more than 80% of your retina in one panoramic image while traditional imaging methods typically only show 15% of your retina at one time. The optomap is fast, painless and comfortable. Nothing touches your eye at any time. It is suitable for the whole family. To have the exam, you simply look into the device one eye at a time (like looking through a keyhole) and you will see a comfortable flash of light to let you know the image of your retina has been taken. 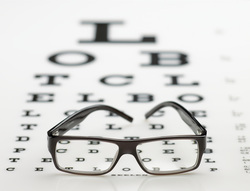 We accept most major medical and vision insurances. If you do not see your insurance listed, call our office to see if we may be in-network. If we are out-of-network, we can still see you for your exam. You pay out of pocket and get reimbursed by your insurance directly (we can help you find the proper forms for reimbursement).